George Archibald, PhD. - Conservation Heroes - Banovich Wildscapes Foundation, nonprofit (501c3) organization fostering cooperative efforts to conserve the earth's wildlife and wild places benefiting the wildlife and the people that live there. In 1973, when cranes were in a perilous situation and many were on the brink of extinction, George Archibald, along with fellow graduate student Ron Sauey, established the International Crane Foundation in Baraboo, Wisconsin as the world center for the study and preservation of cranes. His dream was to save the world’s cranes and that notion has been his driving force ever since. Dr. Archibald’s visionary leadership in international conservation over the last fifty years has given flight to extraordinary grassroots recovery efforts across the globe. Dr. Archibald established the International Crane Foundation with little more than youthful enthusiasm and exceptional talent. Early on, he pioneered innovative breeding techniques that allowed many rare crane species to reproduce in captivity for the first time. He forged scientific exchanges and field conservation programs in the 1970s with Chinese and Russian biologists in an era when it was a rare occurrence for a western scientist. Under his leadership, the International Crane Foundation grew into a highly respected organization, successfully promoting crane and habitat conservation around the world. George Archibald is renowned for his energy, optimism, and for stimulating new ways of thinking about seemingly intractable problems. 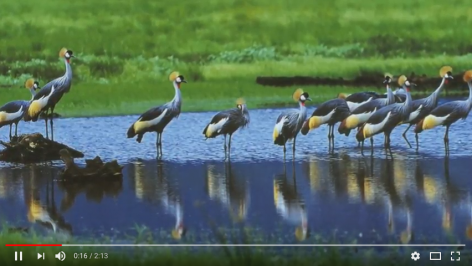 He leverages the charisma of cranes to unite people from diverse cultures and backgrounds to work together to solve problems facing our fragile planet. He has recruited, inspired, and mentored countless individuals worldwide in the name of cranes. By focusing on the magic of cranes, people eagerly engage in the protection and restoration of entire ecosystems. Born in New Glasgow, Nova Scotia, Canada, Dr. Archibald received his undergraduate degree from Dalhousie University in Halifax, Nova Scotia, and completed his Ph.D. at Cornell University. In recognition of his many accomplishments, he has received four honorary doctorates and many awards including the Gold Medal from the World Wildlife Fund, a Fellows Award from the MacArthur Foundation, the Wildlife Conservation Medal from the Zoological Society of San Diego, the Lilly Medal from the Indianapolis Zoo, and the Douglas H. Pimlott Award from Nature Canada. In 2013, Dr. Archibald was awarded the Order of Canada on behalf of Queen Elizabeth II, and received the inaugural Dan W. Lufkin Prize for Environmental Leadership from the National Audubon Society. Dr. Archibald recently completed the book, My Life with Cranes: A Collection of Stories. He and his wife, Kyoko, live in the countryside in Wisconsin where they enjoy gardening and aviculture. The Indianapolis Prize was first awarded in 2006 to International Crane Foundation Co-founder Dr. George Archibald for his life-long dedication to crane conservation. 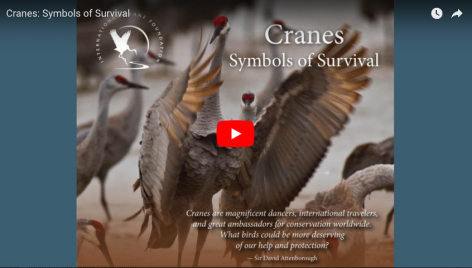 View the award video to learn more about Dr. Archibald's work as a global ambassador for cranes and their conservation. 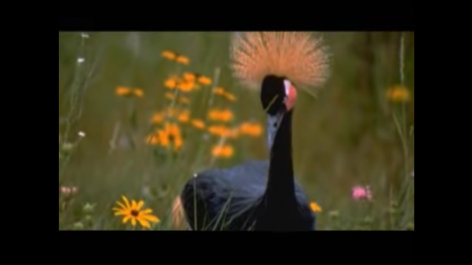 http://www.savingcranes.org How do you quantify four decades of protecting the world's cranes? In developing this video for our 2013 40th Anniversary celebration, we realized that it's not easy -- until we remembered that it simply began with one dream, which continues to support our mission today. Our Mission: ICF works worldwide to conserve cranes and the ecosystems, watersheds and flyways on which they depend. ICF is dedicated to providing experience, knowledge, and inspiration to involve people in resolving threats to these ecosystems.